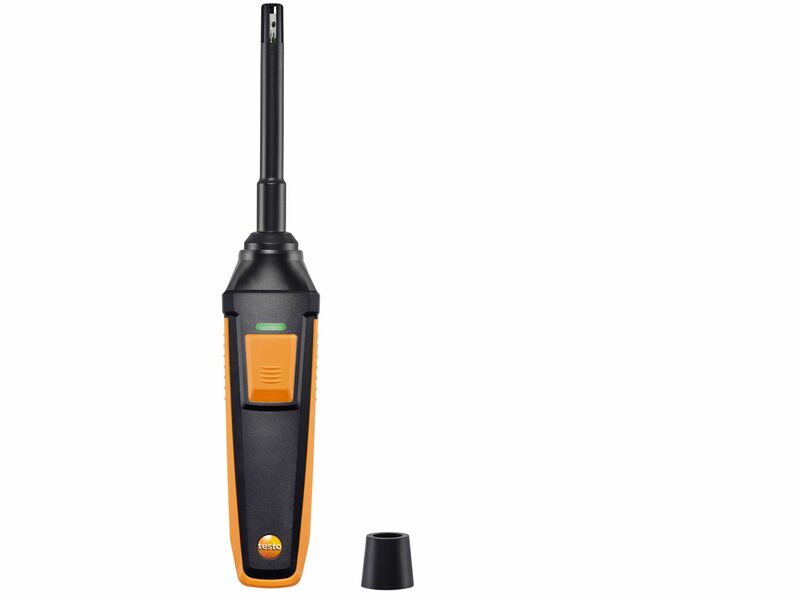 In combination with the testo 635, the robust humidity probe measures the humidity and temperature of the air. 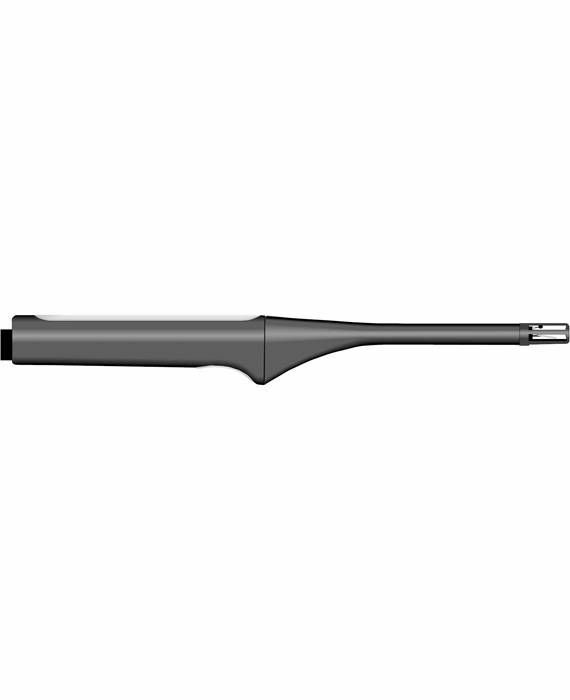 Because the probe can be used up to 125 °C, it also enables measurements in air exhaust ducts. 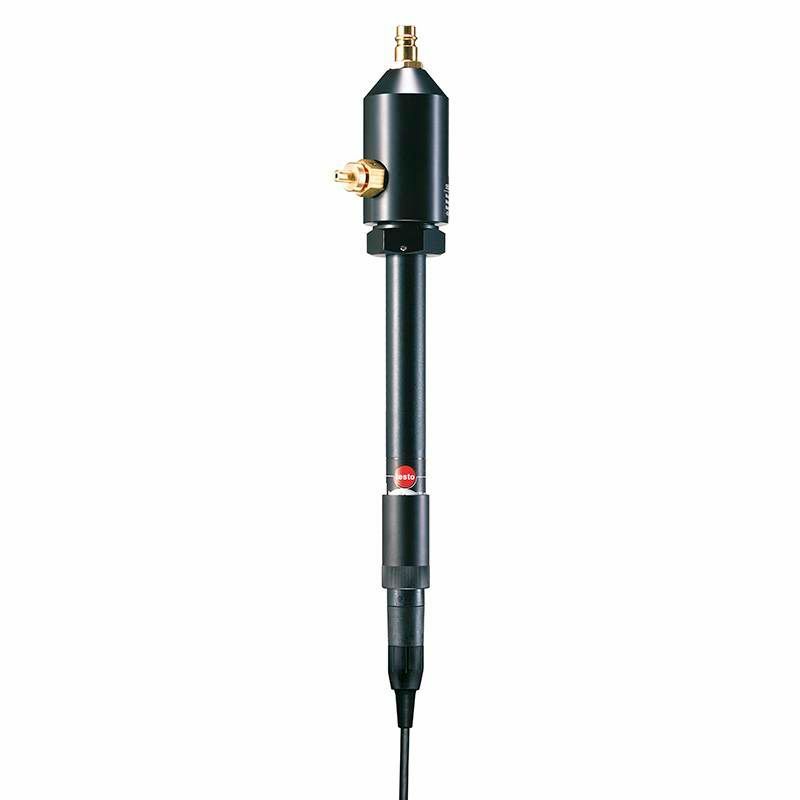 In addition, it is suitable for measuring the material equilibrium moisture content, for example in bulk materials. 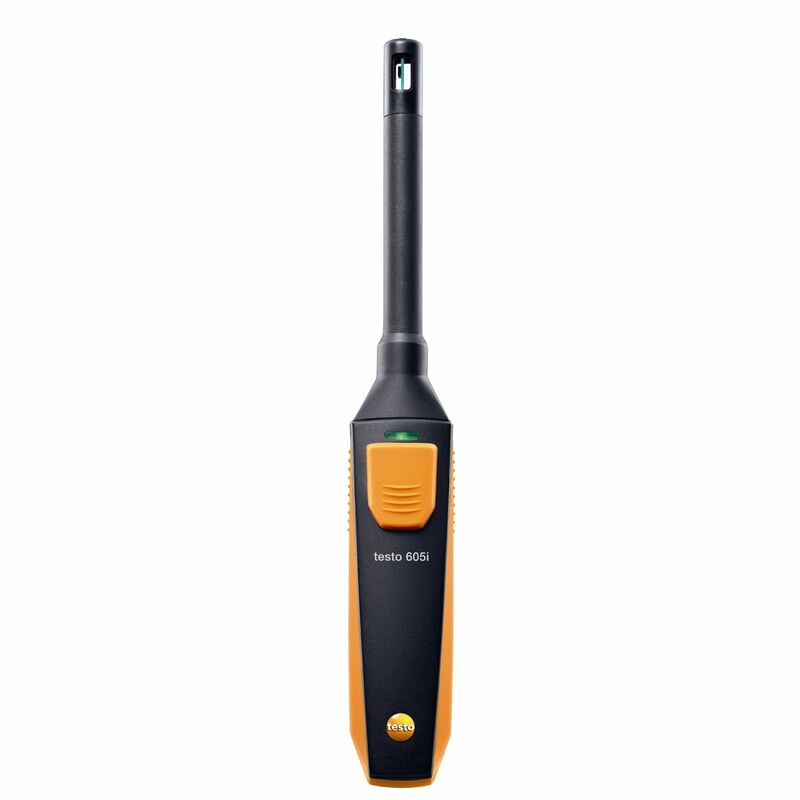 The humidity module can be attached to various Testo radio handles. 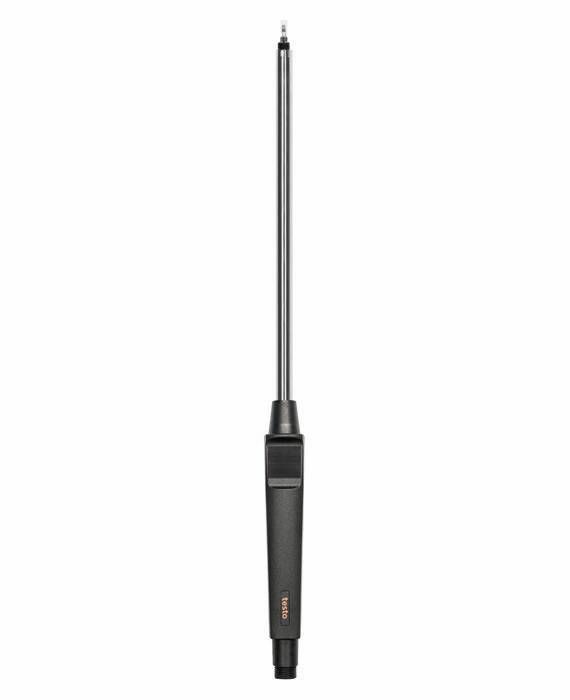 It enables a high level of accuracy thanks to the precise humidity sensor. 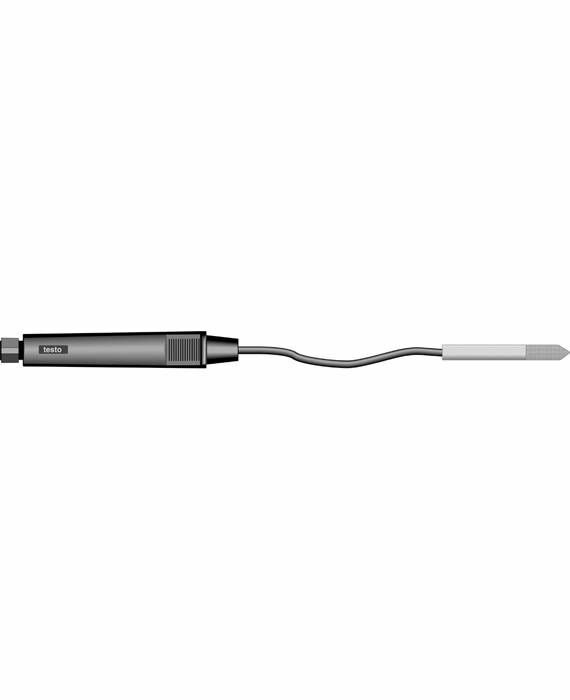 The high-precision humidity/temperature probe means you can check ambient conditions in production and also climatic conditions in clean rooms with a high level of accuracy. 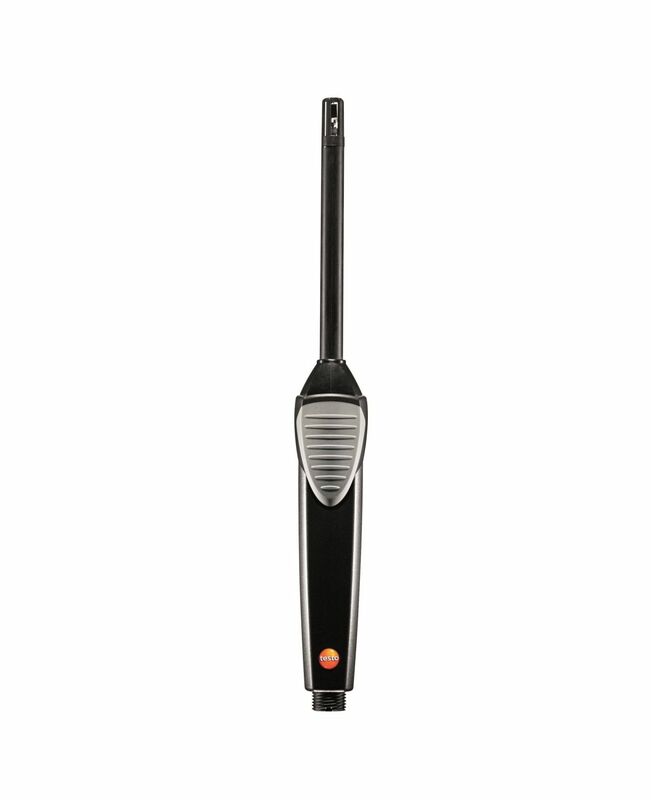 The standard humidity/temperature probe means you can check the indoor air climate quickly and reliably. 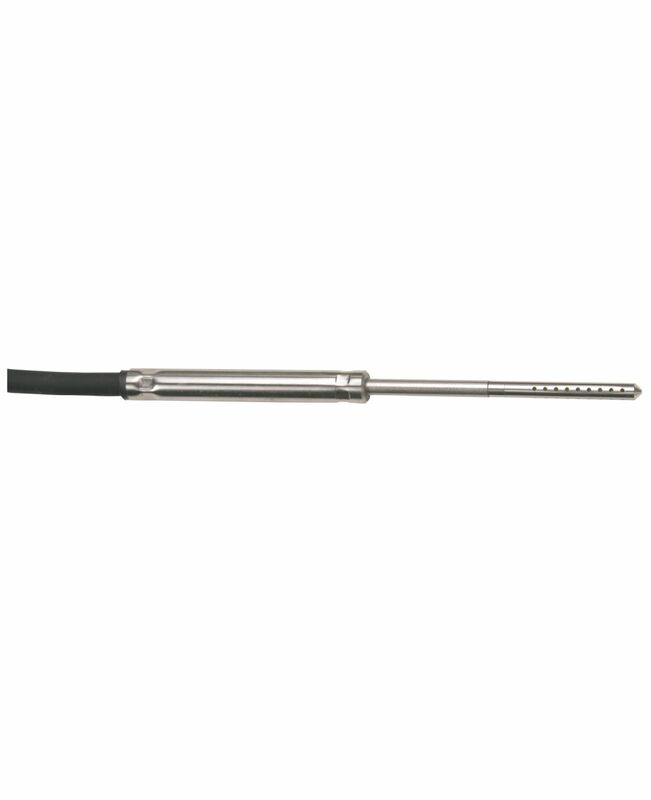 The slim humidity probe measures material moisture via the equilibrium moisture content and can very easily be used in recesses or bore holes thanks to its slim design and remote electronics. 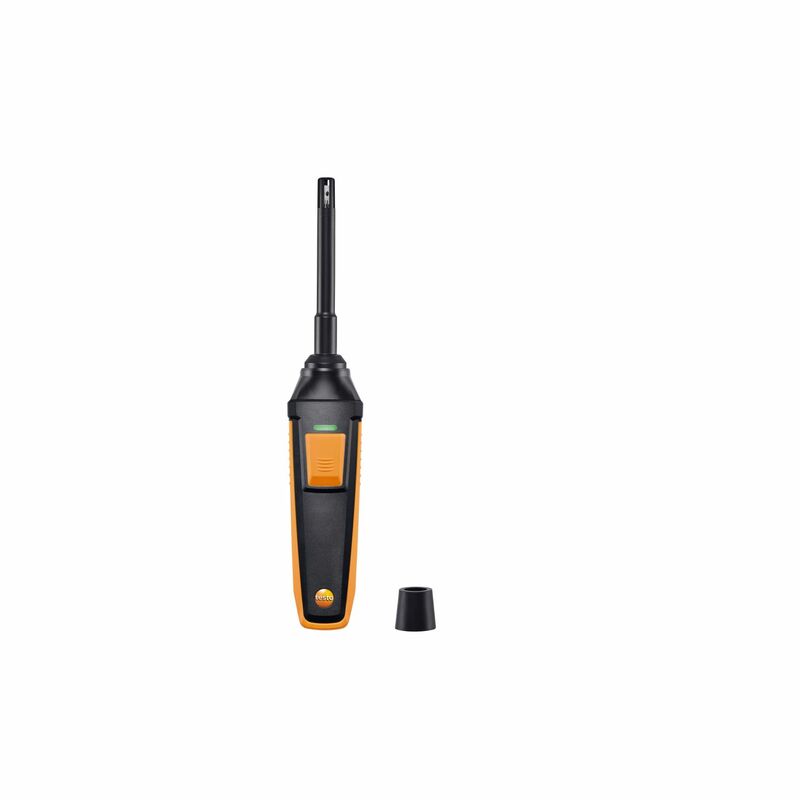  The material moisture can also be determined directly in the instrument in combination with the testo 635 temperature and humidity measuring instrument. 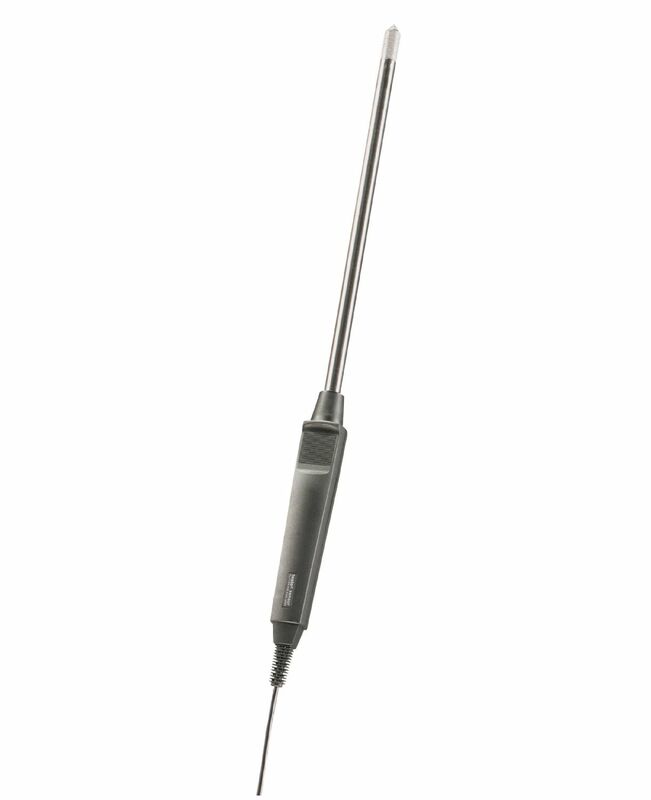 This robust humidity probe can be used for the simultaneous measurement of temperature and relative humidity. 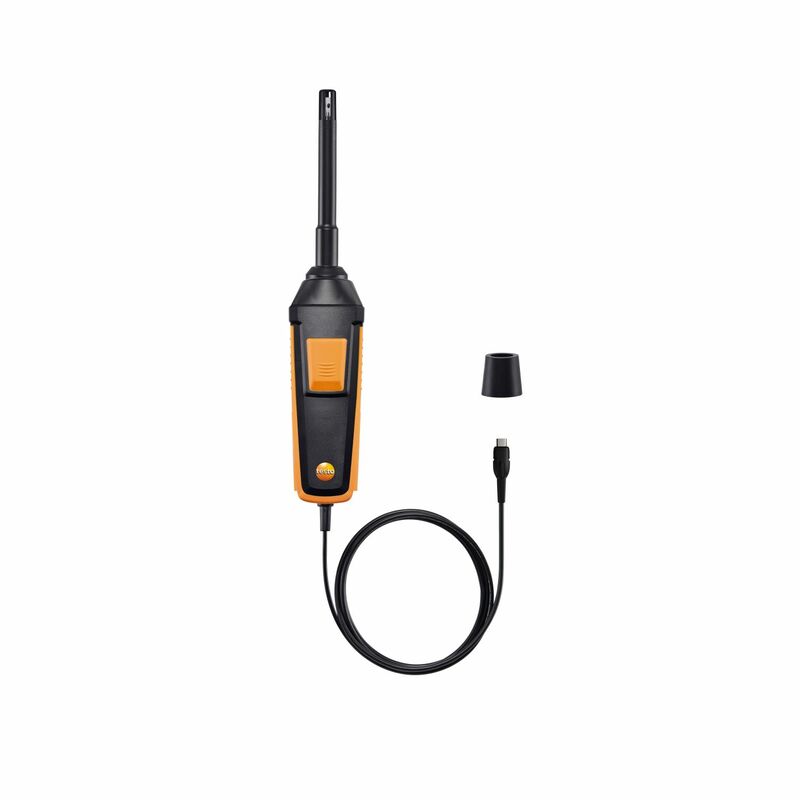 The probe's wide temperature range of up to +180 °C means that you can measure the moisture content in industrial exhaust air, for example. 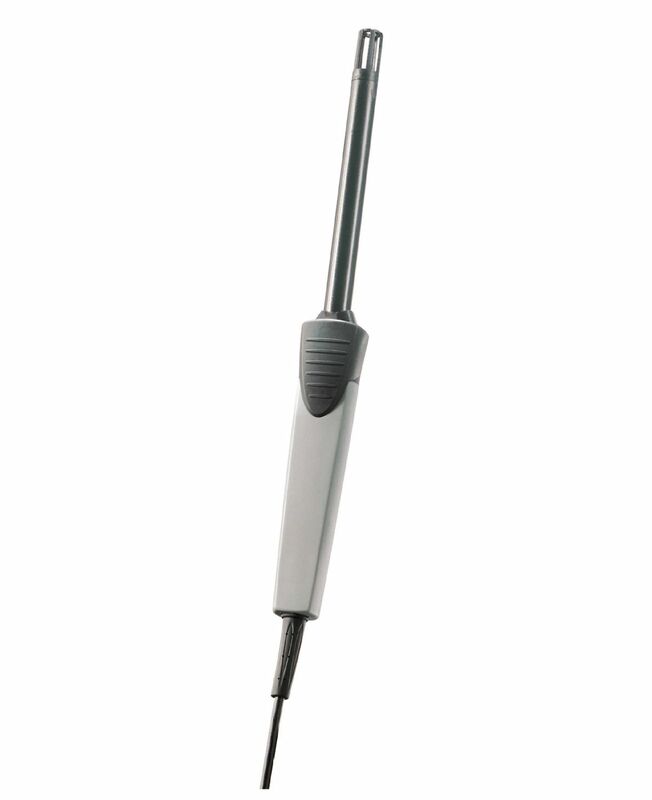 The robust high-temperature/humidity probe (with a corresponding measuring instrument) is suitable for reliably determining the temperature and relative humidity even at high temperatures (up to +180 °C). 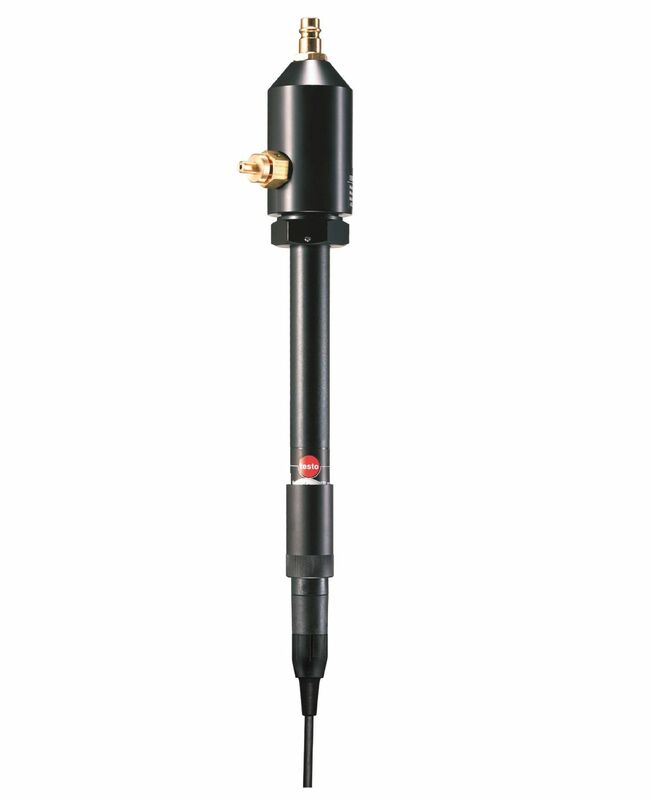 The ideal probe for fast and accurate determination of the pressure dew point. 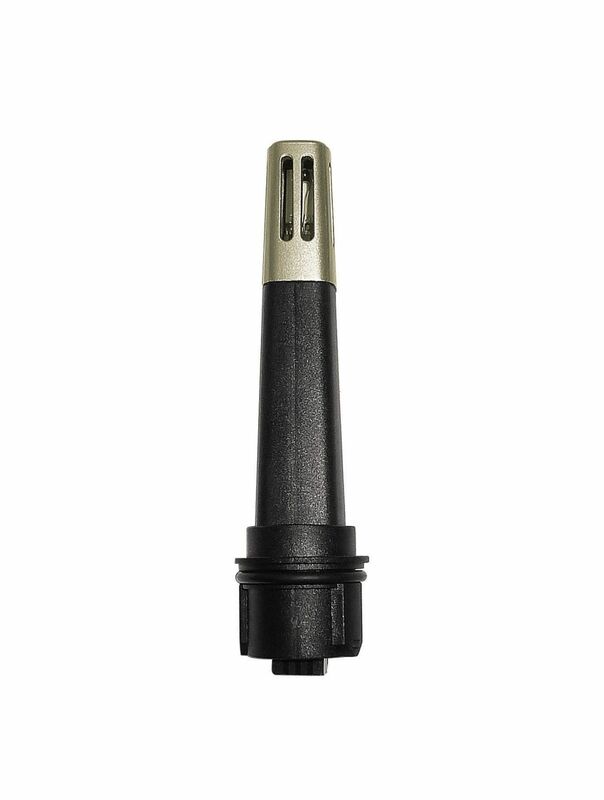 In addition, it is suitable for high-precision measurements in the trace humidity range and also enables fine adjustment to any pressure dew point in the -40 to +25 °C tpd range at +25 °C (single-point adjustment).